Fishing picked up nicely this week with some great action off S. Bowen from Cowan Point to Roger Curtis as the herring and anchovies moved back in and the chinook came right along with them. Hot depths were in the 50-100 range on the downriggers. Anchovies, herring, spoons, and white UV hootchies were all producing well. There was some good fishing at Thrasher this week as well, a little late in the season for this spot, but hey the fish are there and we aren’t complaining. As usual, the hot weather means some pretty big winds, so it has been tough to get across. There have been a few windows though, and those that had the right days off did well fishing deep on the structure. 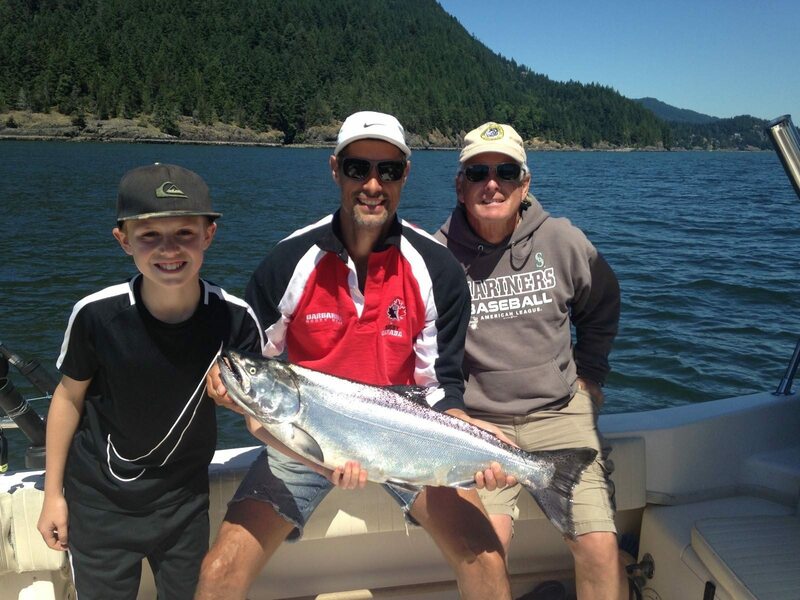 There is also some big chinook getting caught up Howe Sound. 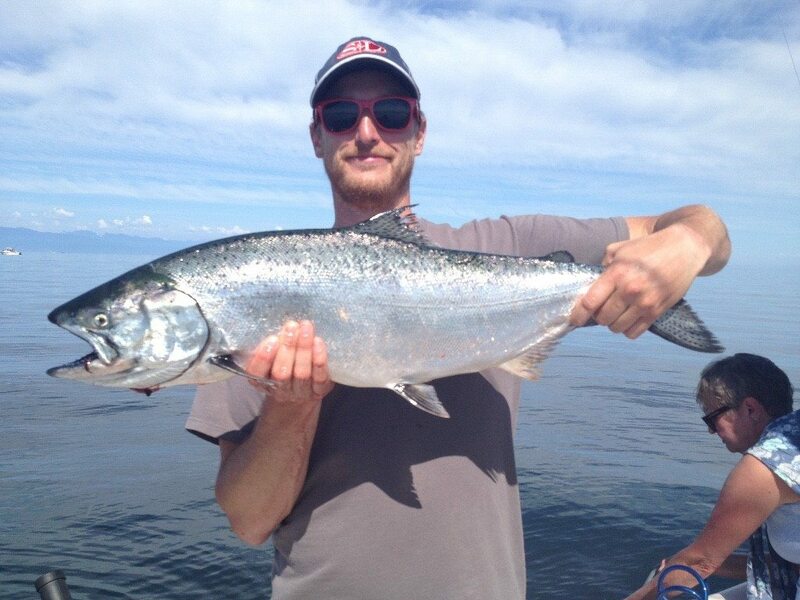 As mentioned in last weeks report, anytime after Canada Day we start to see some of these mature Squamish fish get caught around Hole in the Wall up to Sunset. 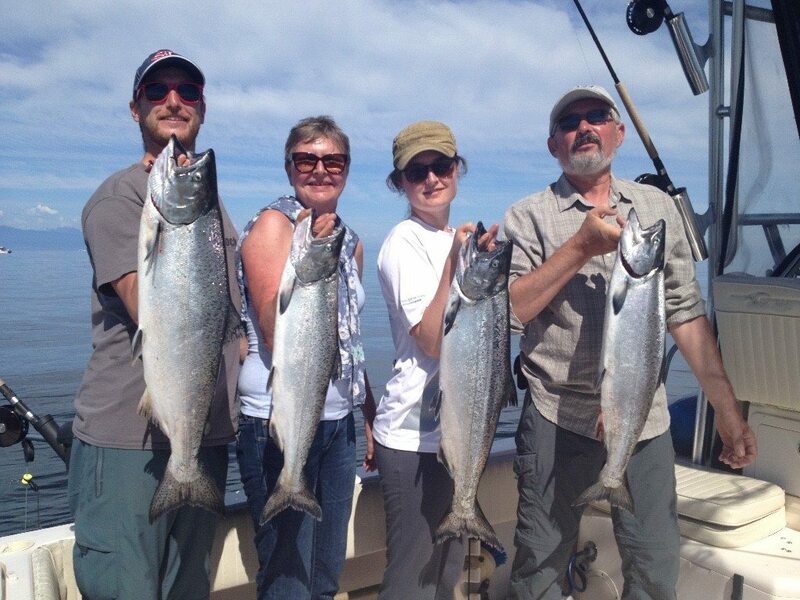 We have also been fishing off W. Van for coho and haven’t had any consistent action yet, but we know they are around because the Cap has its fair share already. 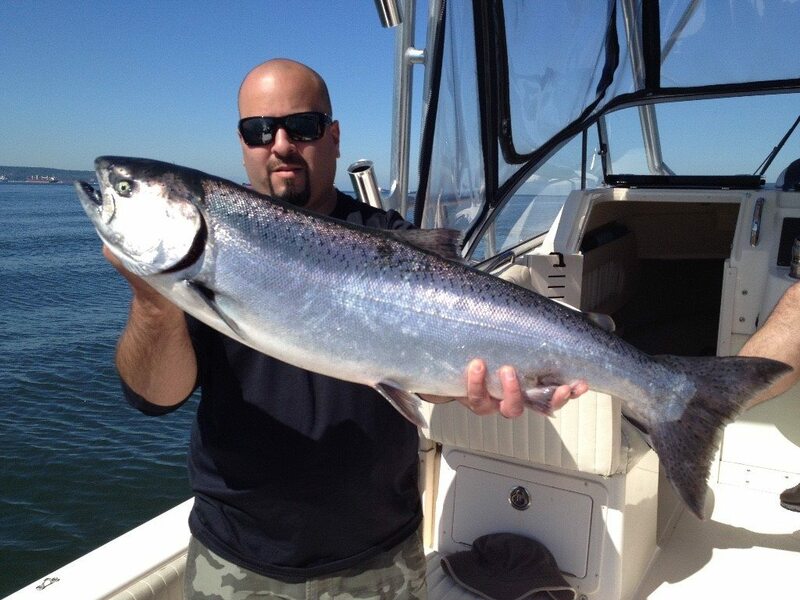 Eddie was out on a 5 hour trip the other day and actually got a really nice chinook on a white UV hootchy while fishing for coho. This seems to happen quite a bit in July, so be ready. So all in all there is a lot going on out in the ocean with all sorts of spots producing fish. Enjoy this amazing weather and have fun out there!